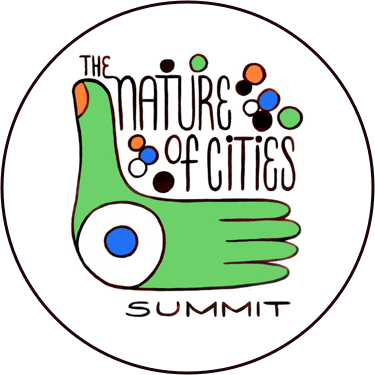 I have been getting quite the education on “The Nature of Cities” these past few months, while taking in the perspectives of academics, ecologists, naturalists, architects and urban designers, educators, and conservationists (some contributors wearing several hats). I have been impressed—and at times overwhelmed—by the scope of research, activism, and community programs dedicated to urban nature and our species’ connection to it. And our place within it. I had no idea how much work (and play) is going on around the globe, tied to the study and enjoyment of cities’ wild nature. And I suspect that’s true for many others who’ve participated in this blogsite’s commentaries and conversations. Here I will bring the perspective of a nature writer, essayist, and naturalist, who has spent the past couple of decades getting to know, and writing about, his adopted homeland. Like Bob Sallinger (“Souvlaki Coyote and Other Tales of Urban Wildlife”), I strongly believe in the power of story and the necessity of telling stories that recognize, even emphasize, the wild nature of our cities. Here, then, is part of my story. Though I grew up along the edges of rural Connecticut, I have spent nearly all of my adult life in urban settings: first Lewiston, Maine and Tucson, Arizona (both in the USA, and where I attended college and graduate school, respectively); then the Los Angeles megalopolis, where I somehow survived six years despite never feeling at home; and finally, since 1982, Anchorage, Alaska, the 49th state’s urban center. Schooled in the geosciences (I got an MS from the University of Arizona), I changed careers in my late twenties and became a journalist, which in turn led me eventually into my current life as a freelance nature writer and activist for both wildlands and wildlife (I explore that evolution in Changing Paths: Travels and Meditations in Alaska’s Arctic Wilderness). It was only after I’d begun to seriously observe and write about Anchorage’s “wild side” in the 1990s that I began to more fully appreciate—and examine—the delights, mysteries, and importance of urban nature. 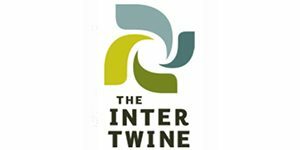 I have written about my adopted hometown’s wild riches in essays and two books (Changing Paths and Living with Wildness) and will use my initial TNOC posting to share some of what I’ve noticed and learned about Anchorage’s wild nature, which has relevance to other discussions presented on this site. Downtown Anchorage, Alaska. Photo by Bill Sherwonit. 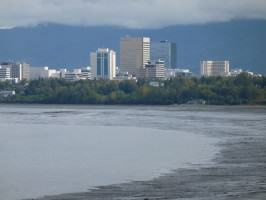 Anchorage skyline. Photo by Bill Sherwonit. 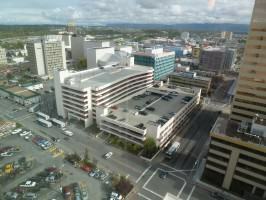 The truth stings: Anchorage largely deserved McPhee’s late 1970s jabs. It still merits them and, to some degree, those of rural Alaska critics. Poor municipal planning has led to haphazard development and some mighty ugly architecture. Sections of the city are an appalling mix of malls, fast-food restaurants, boxy discount stores, massive parking lots, and ever-expanding service stations and quick stops. Even now, when the city is in the midst of rewriting its land-use laws to make Anchorage a more livable city, with a higher quality of life, there’s substantial pushback from businesses, development interests, and some politicians (including our mayor), whose credo seems to be “develop, develop, develop,” with little regard for how that development is done. Too many of the country’s mega-chains have heard our politicians’ declaration that Anchorage is “open for business,” turning sections of the city into versions of Miracle Mile. And those of us who care about Anchorage’s wilder aspects are constantly battling efforts that would diminish trails, greenbelts, and parks. 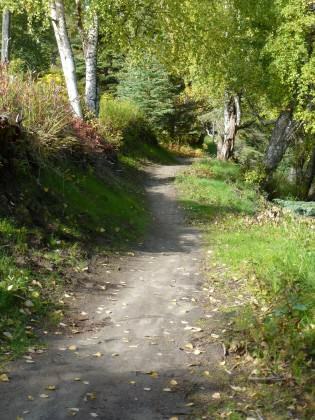 “Coastal Trail” in Anchorage, part of the city’s extensive trail system. Photo by Bill Sherwonit. Yet for all this laying down of asphalt and mushrooming of boxlike buildings, pockets of wetlands, woodlands, and other wild areas remain scattered throughout our municipality. You just have to know where to look. And to be honest, those areas aren’t hard to find; Anchorage has some wonderfully large parks and a world-class trail system. Kincaid Park single track trail, Anchorage. Photo by Bill Sherwonit. species of birds, five types of Pacific salmon, and 48 different mammals. Anchorage’s patchwork of greenbelts and forested municipal parks is threaded together by a network of bike trails and walking paths. From Anchorage’s much-beloved Coastal Trail, bicyclists, joggers, and walkers can occasionally spot pods of ghostly white beluga whales, chasing fish through the inlet’s murky waters. Along that trail and others, people may also meet moose, lynx, great-horned owls, black bears, and even the occasionally grizzly. Beyond the Coastal Trail is a state wildlife refuge, a place of surprising wildness and solitude on the city’s western flanks, with sedge flats and mudflats and ponds inhabited in spring and summer by all manner of songbirds, shorebirds and waterfowl, from savannah sparrows to Arctic terns and Sandhill cranes. 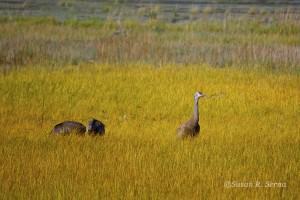 Lesser Sandhill cranes in the Anchorage Coastal Wildlife Refuge. Photo by Susan R. Serna. are large and pure enough to have natural or rebuilt salmon runs. In Anchorage’s most industrialized section, anglers pull 40-pound king salmon from Ship Creek. The bowl is also rich in lakes and bogs, which serve as important avian nesting grounds. Anchorage, in fact, is the largest U.S. city to support nesting populations of loons. And wolf packs roam the city’s eastern edges, sometimes sneaking into homeowners’ yards to kill domestic fowl or dogs. 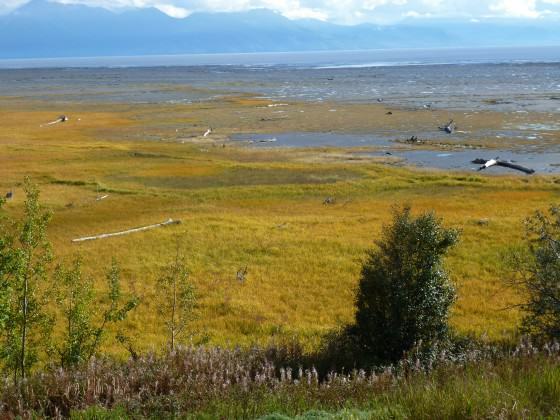 Anchorage Coastal Wildlife Refuge stretches for 16 miles south from Anchorage. Photo by Bill Sherwonit. 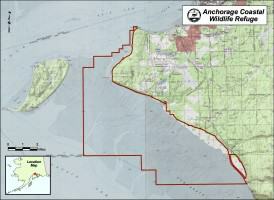 The boundary of the Anchorage Wildlife Refuge, just south of Anchorage. Though I’ve resided here since 1982, only since the early nineties have I truly delighted in Anchorage’s greener, wilder side. In part that reflects a gradual shift in desires and priorities: once a newspaper sports reporter tied to newsroom desks and indoor arenas, I’ve metamorphosed into a nature writer who chooses woodland trails and alpine meadows over noisy, sweaty gyms. I now prefer watching birds and bears and spiders to TV sports. And I’ve re-learned the value of paying close attention to my home grounds, something I did as a boy, but somehow forgot in my early adulthood. I believe my boyhood adventures in The Woods behind my family’s Connecticut home and along the margins of a nearby neighborhood swamp helped establish a deep love and joy for wild nature that, while dampened or misplaced for a while in my late adolescence and early adulthood, would be resurrected after I’d settled in Anchorage. This touches on themes made popular in recent years by Richard Louv (Last Child in the Woods, The Nature Principle), David Sobel (Beyond Ecophobia, Childhood and Nature), and others. And it points to a critical aspect of this “Nature of Cities” movement: the absolutely urgent need for increased connections between children and nature in our cities, especially given the abundant—and growing—evidence that childhood experiences have a huge influence on how we relate to the “natural world” as adults. Another reason for my new perspective: relocation to the hills on Anchorage’s eastern edge in October 1993. That move, as much as anything, clarified what my friend William calls the “power of place.” From 1982 through 1988, I had lived the mobile life of a renter. Then I became a first-time homeowner. But like my earlier rentals, that cul-de-sac property failed to draw me into the local landscape. Needing solitude or a renewal of spirit, I would invariably go “out there,” to the wildlands beyond Anchorage. But once settled on the Hillside, that wasn’t necessarily so. I continued to love my forest and mountain walks in Anchorage’s neighboring “backyard wilderness,” Chugach State Park and I certainly relished my longer journeys deep into Alaska’s more remote backcountry. 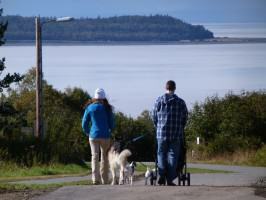 Yet I also began to find joy, surprise, connection, and, yes, even solitude on Anchorage’s Hillside, an area of town that mixes modern suburban neighborhoods with older homesteads on the wooded foothills of the Chugach Mountains. 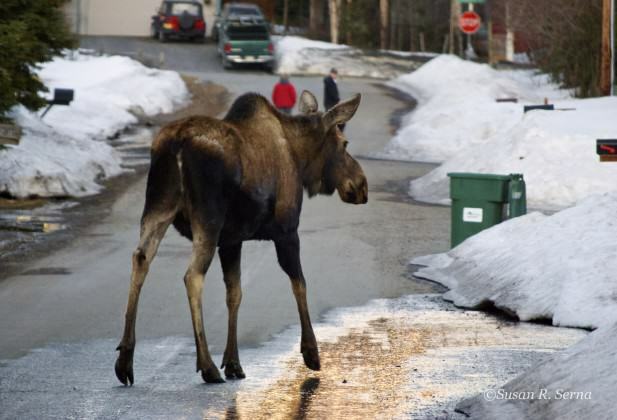 A moose shares an Anchorage street with human pedestrians and vehicles. Photo by Susan R. Serna. Everything wild seemed closer on the Hillside: the clouds, the mountains, the animals, the weather. It became easier, somehow, to slip outside at night and star gaze, stand in the eerie light of a full moon, or look for northern lights. Easier to go walking and exploring. Winter comes earlier and stays longer. There’s more snow. More wildlife. More frequent and stronger gales. Born along Alaska’s Gulf Coast, high winds called chinooks come roaring out of the southeast and through the Chugach Mountains, then tumble down the Hillside as warm, dry, turbulent air, in gusts of 50 to 100 mph. In my new home, all manner of things began to grab my attention in new ways: the chinooks; the pleasing rush of springtime creek water; the winter commutes of ravens, which fly daily between their nighttime roosts in the Chugach Mountains and the scavenging-rich environs of mid- and downtown Anchorage; the spruce bark beetle and its infestation of local forests. Nothing, however, grabbed me as deeply as the neighborhood’s black-capped chickadees, whose bright presence drew me into bird feeding and watching and along the way transformed my world, showed me some of what I had been missing. In a way, they become my teachers. In the spirit of telling “urban animal stories,” I’ll briefly describe here how chickadees helped deepen my awareness (there’s a more detailed account in Living with Wildness). My enchantment began on a Saturday morning in 1993, shortly before solstice. Lolling in bed, I glanced outside. And there before me, several black-capped chickadees flitted about a backyard spruce. Inspired by their presence, I placed a bird feeder where it could be easily observed from the dining and living rooms. My first-ever feeder wasn’t much to look at: an old, slightly bent baking pan covered with sunflower seeds. Nothing happened that first day. But Sunday the chickadees returned. Seated at my dining room table, I watched with delight as a black cap landed on the tray, grabbed a seed, and zoomed to a nearby tree. Then in flashed another. And a third. For each the routine was the same: dart in, look around, peck at the tray, grab a seed, look around some more, and dart back out. Nervous little creatures, full of bright energy, they somehow penetrated the toughened shell of this former sports reporter and touched my heart. I laughed at their antics and felt an all-too-rare childlike fascination. 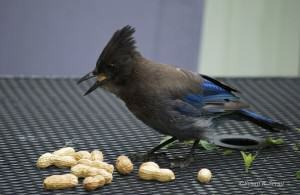 Stellers jay. Photo by Susan R. Serna. The chickadees were soon joined by several other songbirds. What started as mere curiosity blossomed over the next few months into a consuming passion. I found myself roaming bookstores in search of birding guides, spontaneously exchanging bird descriptions with a stranger, and purchasing fifty-pound bags of seeds. All of this seemed very strange to a fortysomething guy who had never been intrigued by birds (except for the occasional charismatic raptor) and had previously judged bird watchers to be rather odd sorts. I didn’t know what it meant, except that a door had opened. And I passed through. Now wherever I am—city, woods, mountains—I invariably notice songbirds and their assorted voices. They’re everywhere, it seems. How did I miss them before? And I wonder what else beckons, that I haven’t yet noticed. I have since moved from the Hillside back to Anchorage’s lowlands, in a residential neighborhood near the city’s western, coastal border. There’s still plenty of wild nature in my new environs, manifested in moose and fox, merlin and goshawk, chickadee and waxwing, spruce and birch, on and on. The opportunities to encounter wildness and learn more about my homeland are endless. But I can’t emphasize enough that this recognition began with some specific experiences—for instance moving to the Hillside, inviting chickadees to my feeder—that opened my senses to the wild world that surrounds us, wherever we live. Even though I’d been trained (as both scientist and journalist) to notice details, it seems I didn’t naturally tune into, or relish, the city’s wilds, until some aspect of it grabbed my attention in a way that I couldn’t ignore. This is something that I—we—need to remember as we work to increase the awareness of the general public to our cities’ wild side. In recent years I’ve come to believe strongly that this sense of connection, this love for wild nature, is a crucial part of our humanity, even in the twenty-first century. It’s alive in us when we’re born, no matter where that is. The question, then, is how do we nurture our wildness, rather than subdue and tame it? 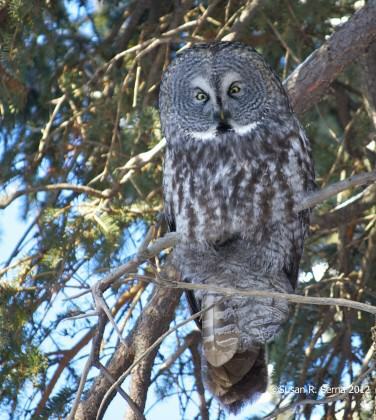 Great grey owl. Photo by Susan R. Serna. In The Abstract Wild, Jack Turner argues that “in many inner cities here in the United States and in the developing world people no longer have a concept of wild nature based on personal experience.” (Many others have made similar observations, including on this blogsite.) I agree wholeheartedly with that. But I also believe it is possible to have “raw visceral contact with wild nature” wherever we live, if we take the time, make the effort, and leave ourselves open to wonder and mystery. Then the challenge becomes: how do we reinforce and encourage this wild awareness in each other, in our children? I don’t have any easy answers. But my life in this far north metropolis and my own discoveries of Anchorage’s wild nature (some of which I’ve shared here) has offered hints of what’s possible. At first glance, my choice to settle in Anchorage may seem a strange one for someone who claims to be so passionate about the natural world. But in living along the city’s eastern and western edges, I’ve gotten the best of both worlds, natural and man-made (though of course the two are connected). I love the amenities that come with living in an urban center, with its coffee shops and restaurants, movie theaters and Performing Arts Center, universities and libraries and sports programs. Here I’ve found intersecting circles of writers and outdoors enthusiasts and earth- and peace-loving activists. Yet I also have easy access to parks, trails, greenbelts, a coastal refuge, and a nearby mountain range, the Chugach, whose remotest valleys and peaks are seldom visited. And I reside in a landscape also inhabited by chinook and coho, goshawk and owl, coyote and lynx. But again I must emphasize that I only came to this awareness, and appreciation, over time, thanks in large part to teachers who grabbed my attention, chickadees (and bears and frogs) among them. Living in Anchorage, I’m now constantly reminded that wildness is all around us, all the time, even in the city. It’s just that most of us humans don’t notice the “wild side” of our busy urban lives (some, it’s true, are simply trying to survive their urban lifestyles, which leaves little, if any, opportunities for wild connections), just as I largely didn’t for my first decade of living in Alaska’s urban center. Of course, in many a metropolis you have to look hard to find even hints of the wild behind the elaborate layers of human construct that shield us from the rest of nature. Anchorage’s juxtaposition of malls and moose, brewhouses and bears, or libraries and loons makes it easier to notice urban wildness here than in cities like L.A. or Tucson or even Lewiston, Maine, all places that I’ve lived. This city, more than any other, has opened my eyes and enlarged my awareness of wild nature in a way that even the wilderness couldn’t. It’s also been here that I’ve come to better understand—through personal experience, research and readings, and shared stories with other friends and colleagues—that we humans do indeed carry wildness within us. We are animals, after all. And though many of our natural instincts are “tamed”—or suppressed—as we grow up, we carry deep within us a wild nature that’s expressed not only in our need to eat, drink, sleep, and procreate, but also in our emotions, dreams, spontaneity, hunting instincts (expressed in a variety of ways), our draw to the outdoors, and the deep aliveness and sense of wonder we sometimes feel when making an unexpected connection with the larger, wilder world we inhabit. I’ve written about this inner nature in an essay, “In Search of the Wild Man,” included in Living with Wildness. As I discuss in that essay, this inner wild man, or wild woman, or wild child, is an important part of who we are. And it is nourished by connecting with what David Abram (The Spell of the Sensuous) has called more-than-human nature. This—need I say it?—is a good thing, and essential to a deeper, more respectful, and more joyful relationship with our original and primary home, the Earth, and the other inhabitants with whom we share this planet. All of this can happen, must happen, in our cities. Only by getting to know wild nature will we learn to embrace and cherish and preserve it, both within ourselves and as manifested in myriad other forms, in the larger, more-than-human world. Such a full embrace is possible, no matter how frightening, because at some deep level, we and all “the others” are part of a larger—and what some would call a sacred—oneness. All of the world’s mystical traditions teach this. Even Christianity maintains that we are all part of the creation: people and trees and hills and butterflies and bacteria. And though it doesn’t normally use words like “sacred” or “holy,” science confirms it too. 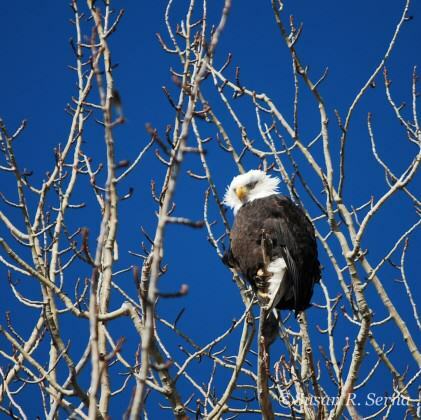 Bald eagle on the outskirts of town. Photo by Susan R. Serna. The good news is that wildness reaches everywhere, from the far wilderness to the innermost pockets of our biggest cities. We can each choose where, in what form, and in what way we get to know the wild. But we must make some effort, if we care at all about healing ourselves, healing the world, keeping things whole. In touching the Wild Man or Wild Woman, we learn to better love the world. And in loving the world, we embrace our own richly wild essence. As I’ve discovered in my own life, it’s not necessarily an easy thing for us modern Homo sapiens to understand or practice. But like Gary Snyder says in The Practice of the Wild, “I for one, will keep working for wildness day by day,” in whatever small way I’m able. And, I might add here, that I will do so wherever I reside, even—or perhaps especially—in the city. 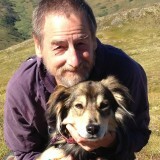 Born in Bridgeport, Conn., nature writer Bill Sherwonit has called Alaska home since 1982. His most recent books include Animal Stories: Encounters with Alaska’s Wildlife, Living with Wildness: An Alaskan Odyssey, and Changing Paths: Travels and Meditations in Alaska’s Arctic Wilderness. Thanks for the comments. I look forward to checking out your writings. I’m interested in many aspects of our species’ (and my own personal) relationship with the larger world of wild nature, including (like you), “the spiritual side,” or aspect, of that relationship. I’m intrigued by your reference to the “Divine Music of Nature.” Perhaps you explore that in your writings? Enjoy your writings of the wilderness and the convergence of nature and society. More people need to have the shift from a focus on the shallow team sport fantasy artificiality to the very real witness of the Divine Music of Nature. Check this out… I wrote a book along these lines back in 2011. Maybe a bit more on the spiritual side of this cause but nonetheless, an account of how I perceive the desperate need. Thanks for sharing those stories, Sam. I can appreciate your sadness that many of your friends have little or no relationship with nearby wild places that are really part of their homeland. While I agree it’s sad that they are missing out on great stories, even sadder is the fact that their lives (in my view) are diminished when they don’t have any connection to the nearby wild, as manifested in both wild landscapes and wild beings (whether alligators, snapping turtles, or the other many animals and plants to inhabit what you describe as “the wildest swamp wilderness you can imagine”). Thanks again for your own stories and perspectives. When I was growing up I would hear stories from my parents about their experiences growing up and those certain encounters that get stuck in your memory. My mom remembers when her dad would get big snapping turtles and let them lose in the house and let them evade them on the beds and chairs or my dad telling me once that he and his cousin would go sneak watermelons from the neighbors patch, but to find out years later that my great grandfather would be paying the farmer off for each watermelon they would steal. They lived among the wild. Today I have two “types” of friends. There are the ones that are fortunate enough to be apart of a hunting camp or own a farm outside of town and there are those who do not. The ones that do not are deprived of those types of experiences and do not have those stories to tell. I remember one time when I took a friend of mine from the suburbs of my town to the delta. He was blown away. Here is a guy from only maybe 4 miles from where I live and he had never explored the delta. The Mobile-Tensaw Delta is 260,000 acres of the wildest swamp wilderness you can imagine. It borders downtown Mobile, Alabama. I got the feeling of sadness because all it takes is a canoe or small motorboat to embark on another world. It sparked my interest in figuring out how to introduce these things to the public and especially that of the suburbs. They are cheated and do not get to pass on those great stories of nature that I mentioned are becoming more difficult to run across. Thanks for your comment and your own wildlife-encounter story. There are probably few things that will get the adrenalin running and provide powerful evidence of wild nature’s presence in one’s neighborhood (and in your case, really, your backyard) than a 10-foot alligator. And clearly, from your account, the gator got lots of people’s attention. This is a good thing (except, perhaps, for neighborhood pets or the unaware person), a vivid and startling reminder, as you say, that there are plenty of “gateways to the wild” in cities, which we usually ignore or overlook. I think for most people it does take larger, more charismatic (and more dangerous) wildlife to remind — or alert — them that we share the urban landscape with wild nature. I see this in Anchorage, too, where many residents pay little heed to nature’s presence until a moose or bear enters their neighborhood or yard. But if we’re more mindful on a regular basis, the evidence is all around us in what you call “the little things,” whether birds or bugs or moss growing on the sidewalk, or other small forms of wildness. I’m also struck by your comment that personal encounters with nature is “something that is not talked about anymore.” I’d be interested in learning more about what you mean by that. Do you mean in your own experience? At the university? Where you live? Among your colleagues and friends? Please elaborate, if you don’t mind. And thanks again for your comments. It is interesting to hear stories of other personal encounters with nature. It is something that is not talked about much anymore. It always seems to be the little things that reinvigorate the wildness in yourself such as your chickadees. For me it wasn’t so little. I live on a canal that is used for rainwater that runs all the way to a river delta. We are the first house separating this canal and the rest of the neighborhood. I began walking down along the canal that was higher than usual due to heavy raining. I saw a large object out of the corner of my eye. It was just wading in the water not making a sound. My blood began pumping much like the way it does when you have a 12 point buck in your scope. It was a 10 foot alligator not 50 yards from my home. It must have wandered up the canal looking to feast on the occasional dog that goes missing. I crept quietly back to my house and by then the whole neighborhood was gathered in excitement. This was another reminder that there are still gateways to the wild whether it be Anchorage’s trail systems or the canal that creates an avenue for the delta to creep into the city. These avenues are all over cities, but go unnoticed. Even the BeltLine in Atlanta is an avenue for nature, left alone for years because the rails weren’t in use. This is the same for a much urban setting of the high line in New York City. Mother nature has a way of taking back underused areas and there are plenty pockets within cities that go undiscovered.